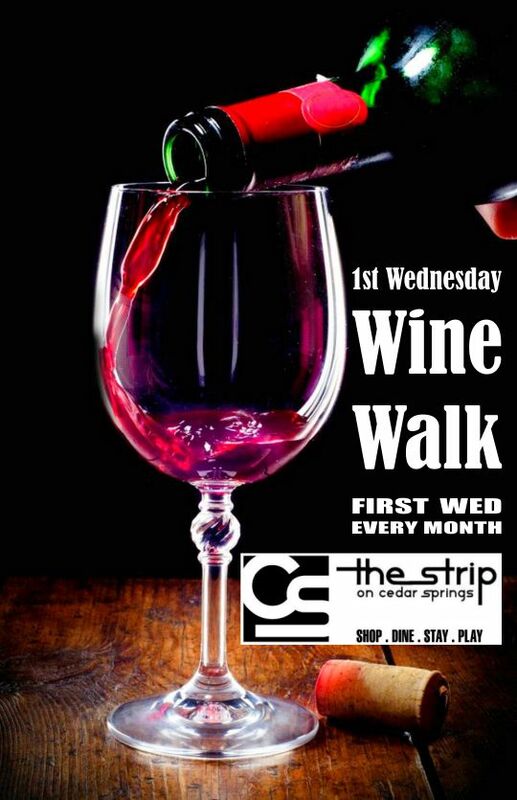 Join us for the Wednesday Night Wine Walk. Purchase a CSMA Wine Glass and enjoy free wine all evening from participating merchants. Wine glasses can be purchased in front of the Round Up Saloon. Look for the lighted tent out front. The drawing for the gift basket will be held in The Round Up Saloon. Sign up to win a great Gift Basket filled with Goodies from the Cedar Springs Merchants. Support the Wine Walk and Support Increased Security in the Neighborhood. Help us keep you safer! Please check your handout when purchasing wine glass to see which merchants will be participating.